Jennifer Spyker has litigated a wide variety of employment law cases including discrimination, retaliation, harassment, Family and Medical Leave Act (FMLA), Retaliatory Employment Discrimination Act (REDA), and wage and hour cases. She has also been the go-to person hired by Charlotte employment lawyers to assist with legal writing, mediations, and trials. Jennifer has obtained successful rulings in state and federal court as well as favorable decisions from the United States Department of Labor, the North Carolina Division of Employment Security, and the Equal Employment Opportunity Commission. 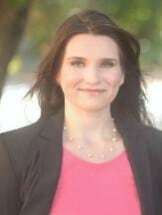 Jennifer has also resolved many cases through mediation and informal negotiations. Jennifer is an active member of the North Carolina Advocates for Justice and has served as CLE Co-Chair for the Employment Law Section since 2016. She graduated from Charlotte School of Law in 2013 with a pro bono honors distinction and was awarded Merit and Academic Achievement Scholarships. Jennifer recently joined the Western District of North Carolina's Pro Se Settlement Assistance Program. In 2017, Jennifer was selected as one of the North Carolina Super Lawyers "Rising Stars." Jennifer also serves as a foster parent for the Charlotte Humane Society where she rehabilitates, socializes, and nurtures sick animals in her home until they are ready for adoption. All of Jennifer's fosters have found their way into loving forever homes.